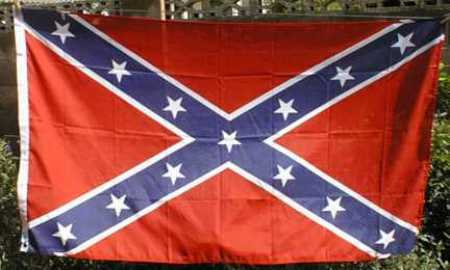 LEXINGTON, VA - The city council in Lexington, Va., just voted to prohibit flying the Confederate flag on city-owned poles. The decision sparked anger among some Lexington residents, who see the Confederacy as a link to the town's past. After a 2 1/2-hour public hearing, the Lexington City Council voted 4-1 to allow only U.S., Virginia and city flags to be flown. Personal displays of the Confederate flag are not affected. Some speakers during the meeting said the ordinance was an affront to the men who fought in the Civil War in defense of the South. One speaker stayed silent during his allotted three minutes, in memory of the Civil War dead. Many speakers complained that the flag was an offensive, divisive symbol of the South's history of slavery and shouldn't be endorsed by the city of 7,000 people. Members of the Sons of Confederate Veterans who had led a rally at a downtown park that day vowed to to challenge the ordinance in court.